Nushin Arbabzadah is an Afghan author, journalist, analyst and translator. Nushin grew up in Afghanistan during the Soviet occupation before fleeing to Germany with her family. She completed high school in Germany before studying European languages and Middle Eastern studies. She has graduate degrees from Hamburg University and Cambridge University, where she was a William H. Gates Scholar. She is currently a Visiting Scholar at UCLA's Center for India and South Asia. 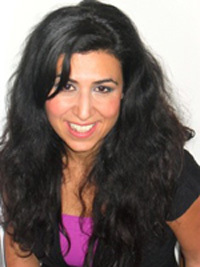 Before coming to UCLA, Nushin worked for the British Council, running literary and journalistic projects on intercultural communication, with a focus on dialogue with the Muslim world. In 2005, Nushin joined the BBC, where she specialized on media, politics and society in contemporary Afghanistan. Nushin’s first book, From Outside In: Refugees and British Society, was published in London by Arcadia in 2007. She has also edited an anthology of writings by young journalists of different religious backgrounds living in Muslim-majority countries. Entitled No Ordinary Life: Being Young in the Worlds of Islam, it was published by the British Council in 2007. Nushin’s first literary translation is of the memoir of an imprisoned Iranian journalist, Houshang Assadie. Provisionally entitled Letters to My Torturer, it is due to be published in June 2010 by OneWorld. She has also edited a collection of short stories by the celebrated Iranian writer, Sadeq Hedayat. Nushin regularly writes for The Guardian online on contemporary Afghanistan. From Outside In: Refugees and British Society (London: Arcadia, 2007).